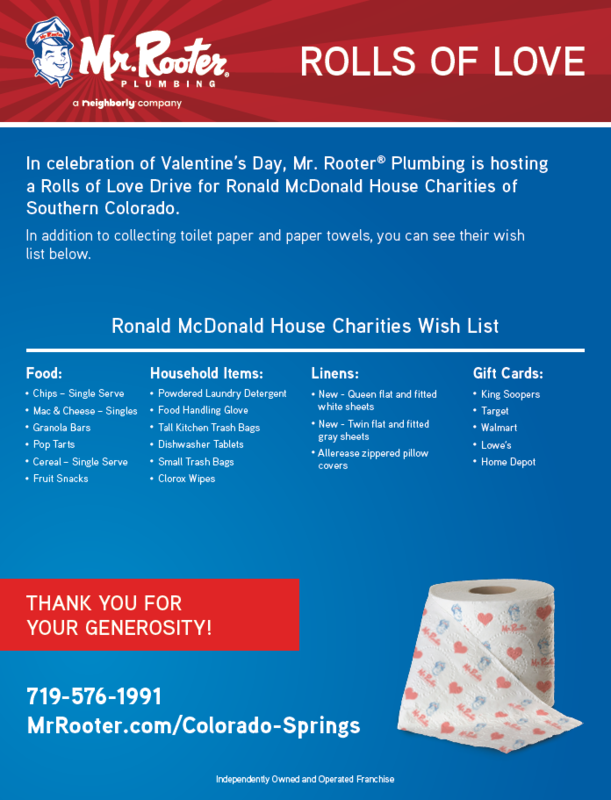 We’re rolling out our Rolls of Love Drive for the Ronald McDonald House Charities (RMHC) of Southern Colorado. We'll collect toilet paper, paper towels and other household items on their Wish List. If you aren’t familiar with the RMHC, it’s a home away from home for families who have a hospitalized child. This organization provides a place for families to call home during their child’s hospital stay at little to no cost. You can learn more at https://rmhcsoutherncolorado.org.